Krispy Kreme is giving away free Simpsons doughnuts to anyone with the surname Simpson today. 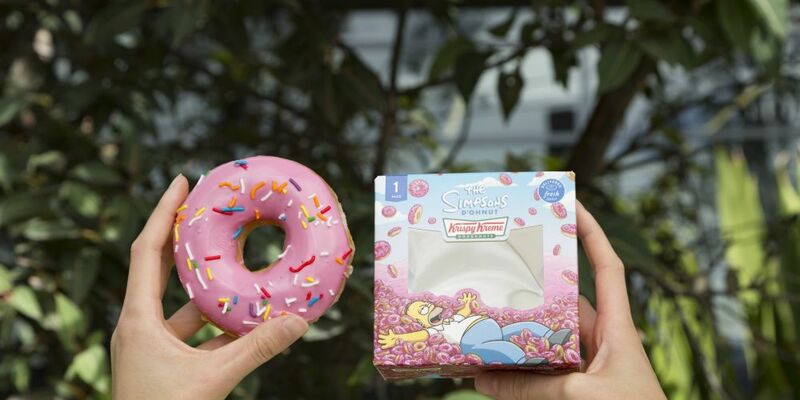 KRISPY Kreme could be giving you the chance to try Australia’s first official Simpsons D’ohnut for free today. To celebrate the launch, anyone with the last name ‘Simpson’ can redeem a complimentary D’ohnut by showing photo ID at their nearest Krispy Kreme store. The D’ohnut features a Krispy Kreme original glazed doughnut, dipped in strawberry flavoured white chocolate truffle and topped off with coloured sprinkles. Krispy Kreme Australia head of marketing Russell Schulman said Krispy Kreme was incredibly excited to release Australia’s first official Simpsons D’ohnut. “Pairing Homer Simpson, the world’s favourite doughnut devourer, with the world’s most iconic doughnut company is a match made in doughnut heaven,” he said. And if your last name is not Simpson, then ‘do-nut’ worry! The WA community can also get their hands on the D’ohnut by visiting their nearest Krispy Kreme store or 7-Eleven until April 30.